“Women and children first!” is a phrase we typically associate with some kind of danger–a sinking ship, or some other perilous situation. Perhaps it’s part of the reason why social service agencies that serve children and families traditionally tend to be female-centric, focusing on families headed by mothers or other female relatives. That’s understandable. But in a way, it’s also unfortunate. The fact is, many children have fathers who could be engaged more actively in their care – if social agencies were more accustomed to working with them. In some cases, agencies may have unintentionally developed policies or practices that limit their engagement. 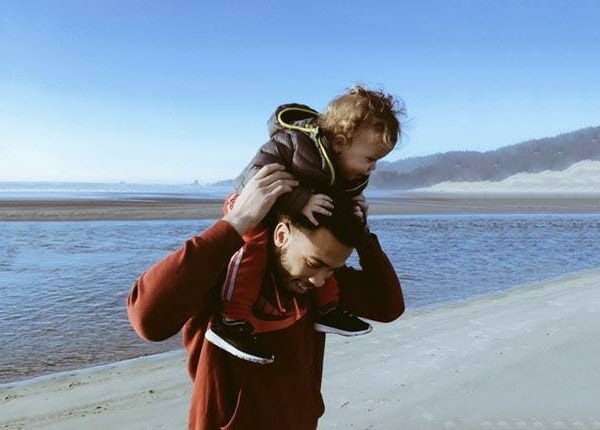 By removing this unconscious bias and proactively engaging fathers, agencies can play a key role in enlarging the network of adults who can provide meaningful support for children. All the more reason for social services agencies to explore ways to change that dynamic. Rufus Sylvester Lynch, DSW, might be called one of the founding fathers of the responsible father movement. Dr. Lynch is Chair of the Strong Families Commission, which oversees accreditation for social service agencies seeking certification as a Father Friendly Flagship Agency (3FA). It primarily was his work as a Senior Fellow at the Stoneleigh Foundation that led to the creation of the 3FA Project, which entails the comprehensive, multi-year certification process for agencies looking to include fathers in their delivery models in order to improve the emotional, social, physical, intellectual, spiritual, and financial wellbeing of the children they serve. Note: In January, ECS was one of several agencies to be awarded certification as a 3FA agency and participate in a panel discussion about the impact of the 3FA Project on ECS. In April, I was honored to be part of a panel moderated by Dr. Lynch at the Child Welfare League of America (CWLA) 2018 National Conference in Washington, DC. The panel was part of a Fatherhood Engagement Training Institute curriculum designed to provide educators, researchers, and other human service practitioners with strategies to help empower fathers to become a committed, reliable, positive force in the lives of their children and families. It proved to be both an eye-opening and a heartening experience. For example, it became apparent that there was a growing level of interest and commitment among people and agencies in regard to being more inclusive in how they reach out to families. Representatives from the Administration for Children and Families (ACF), a division of the Department of Health & Human Services, expressed their support for exploring new ways to encourage fathers to be more involved in their children’s development, perhaps by offering training in the responsibilities of fatherhood and helping them find new employment. Part of the challenge is overcoming skepticism about how fathers would react to such outreach. It was thought that many men would resist involvement with a social services agency, particularly if there were issues of child support involved. Other challenges include the fact that many fathers are unable to play a direct role in their children’s’ lives because they are incarcerated. Homelessness is another difficult factor that can have a major impact on children and family dynamics. Often, these situations help promulgate a cycle of poverty that can last from generation to generation. ECS is taking a number of positive steps to bring attention to the need for greater inclusion of fathers in the lives and children and families. We are, for example, the only 3FA-accredited agency in the region that is focusing on the homeless population. Our 3FA Pilot project at St. Barnabas Mission has included a father recruitment summer activity and also provided opportunities for fathers to eat together with their children. To some, this may seem innocuous – but for these fathers, it’s an important first step. A key part of our 3FA initiative at ECS is to make sure we share this critical work throughout the agency through education and training of program directors and administrative staff as we continue to implement our pilot study at St. Barnabas Mission. We have also extended an existing Fatherhood Parenting Group from one 12-week series program to two 12-week series programs, each facilitated by male staffers. (We have also made a more intensive effort to host male interns/staff as part of an inclusive ECS team.) In addition, we are making a conscious effort to highlight our Fatherhood work externally with stakeholders, board members, parishes, and the surrounding communities. While this is a fairly new effort, we’ve already begun to see external progress as well. Through the work of the City-Wide Children’s Work Group, Responsible Fatherhood and Involvement has been a standing agenda item. In fact, at the request of the group, I had the opportunity to present to a team of 25-50 diverse groups sharing a focus on children’s interests at their monthly forum. I was also asked to talk about the work ECS is doing at the Children’s Hospital of Philadelphia’s annual Day of Dialogue. For too long, there has been a bias among many agencies, whether subconscious or unintended, that prevents fathers from being fully engaged in the development and maturation of their children. This must stop. We need to be cognizant of the institutional and systemic bias and racism that exists in regard to how fathers and men, in general, are perceived. For the good of the children, our goal should be to advocate for father involvement to be part of any ECS work where children are present. The reality is that fathers are and many more can be strong, protective role models when they are provided proper access and resources, as well as assistance to overcome poverty. And we need to take the time to speak directly with fathers and create positive environments that engage and encourage them to stay involved with their families and children, whom they love and respect. For the sake of their future, they need to be part of all the proposed solutions.